Malta, a Member State of the European Union and an independent republic in the Commonwealth of Nations is a southern European country located in the Mediterranean Sea, Malta lies 80km south of Sicily, 284km east of Tunisia and 333km north of Libya. The Maltese archipelago mainly consists of three islands: Malta, Gozo and Comino with a combined population of around 400,000. At just over 316km2, Malta is one of the world’s smallest and most densely populated countries. 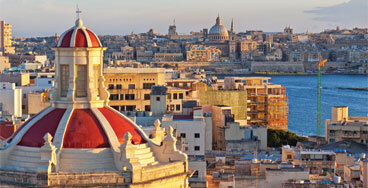 The capital city bears the name of Valletta, which at 0.8 km2, is the smallest capital in the EU. The second largest island is Gozo, a picturesque, laid-back, and well-liked island for its less industrialised way of life. The official languages are Maltese and English and the vast majority of the Maltese population speaks English fluently. Moreover, nearly all business on the island is transacted using the English language. The unit of currency in Malta is the Euro. 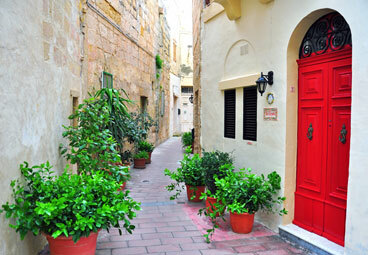 Malta boasts 7,500 years of historical heritage that results in an overwhelmingly rich culture. It is a country that enjoys an excellent climate and is also considered to be significantly stable and safe, with a very low crime rate. Malta has highly developed industries, particularly when it comes to tourism and the financial sector. Furthermore, the island is strategically linked – geographically, economically and politically – with Europe and the rest of the world. Malta is known to have a highly-educated and skilled work force. A high percentage of students further their studies up to tertiary education. The country has maintained a competitive advantage in this area when one considers that labour costs are significantly lower than in most European states. The government of Malta is democratically elected whilst the legal structure is based on the civil-law pattern of continental Europe. However, most administrative, financial and fiscal legislation is based on British laws. There are three principal jurisdictions – civil (including commercial), criminal and voluntary. Throughout the years, Malta has been regarded as a highly reputable international and financial business services centre. In this context, Malta has developed a comprehensive and flexible framework for financial services. This framework creates an attractive business environment and establishes appropriate regulatory structures to oversee both international trade and also the financial sector in Malta. The tax laws of Malta compliment the financial services and are intended to support the development of Malta as an international and financial business services centre. With respect to the prevention of money laundering and insider dealing, the laws of Malta incorporate standard equivalent to those of the EU. There is also adherence, in most respects, to the EU standards for banking and investment management regulations.